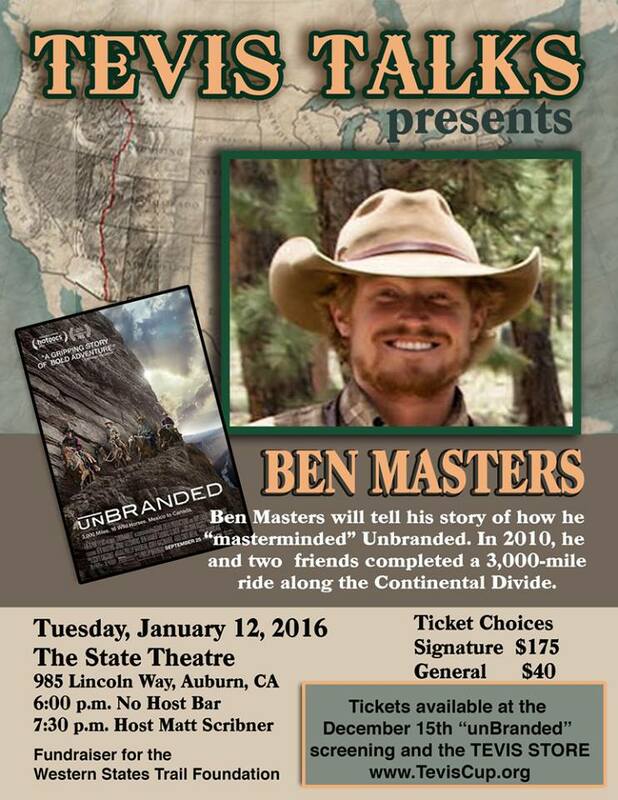 Tevis Talks presents a conversation with Ben Masters, the "mastermind" behind the film Unbranded, a 3000-mile ride he and 3 friends completed along the Continental Divide in 2010 on mustangs. The event will take place Tuesday, January 12, 2016, at The State Theatre in Auburn, California, at 7:30 PM with host Matt Scribner. Tickets are available at Teviscup.org store, and at the Unbranded screening on December 15. Signature tickets are $175, and General tickets are $40. All proceeds go to the Western States Trail Foundation.